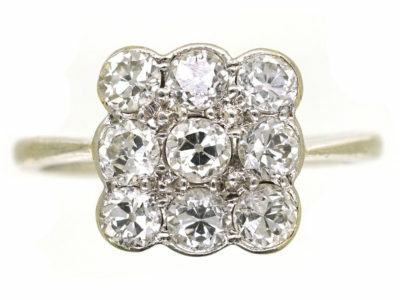 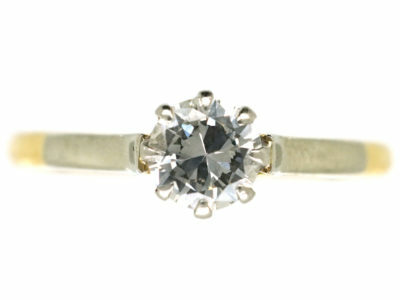 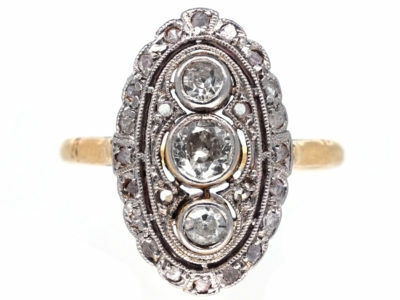 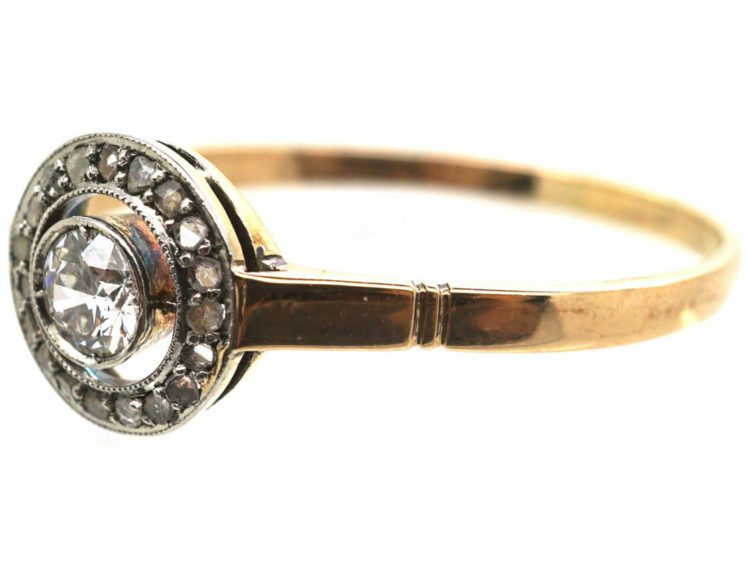 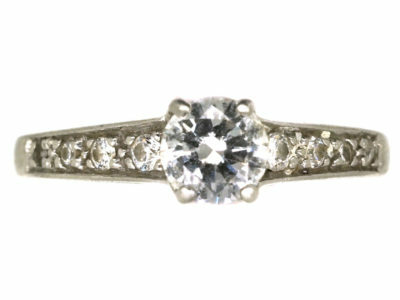 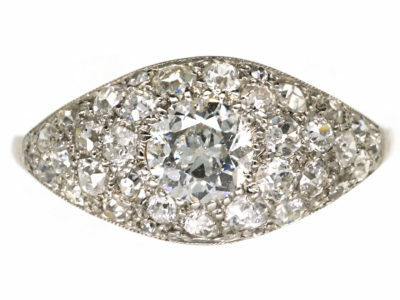 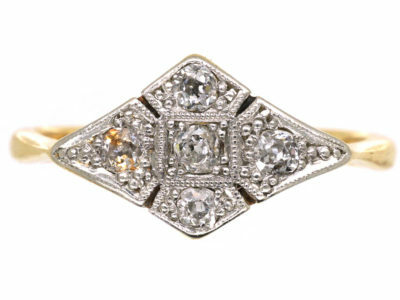 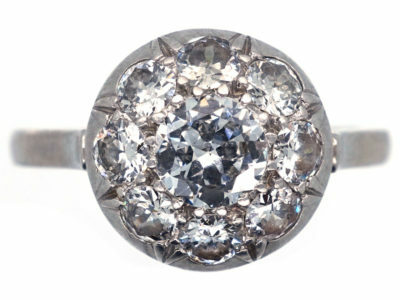 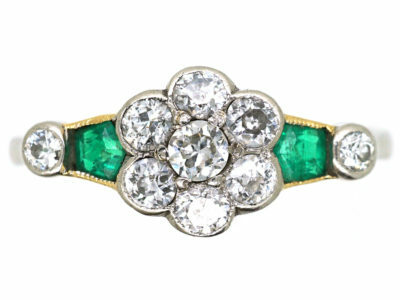 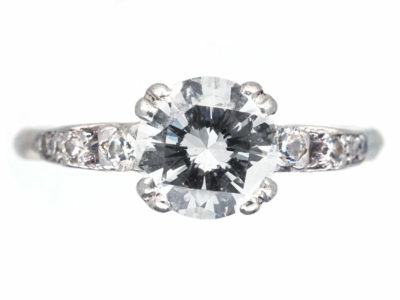 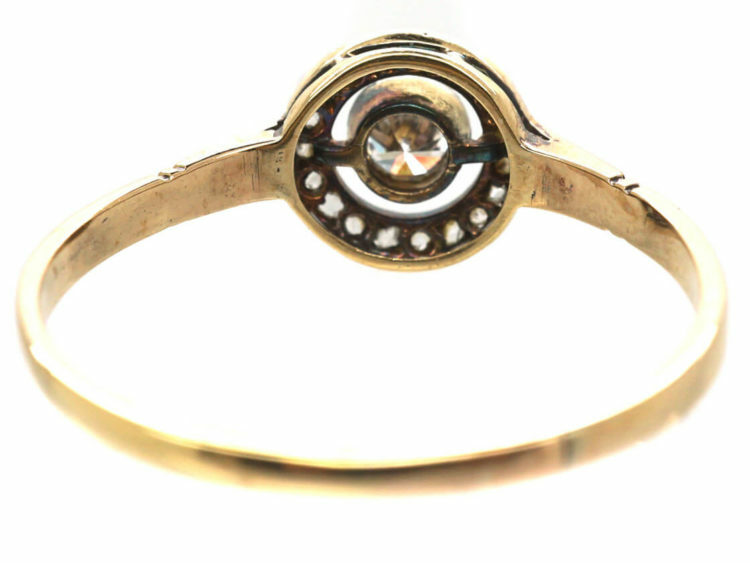 A smart Art Deco ring set with a central twenty five point diamond. 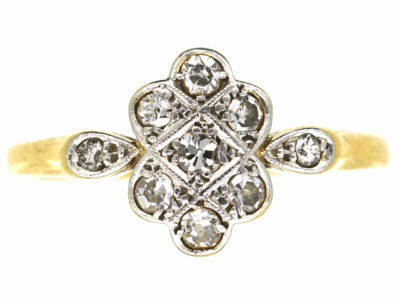 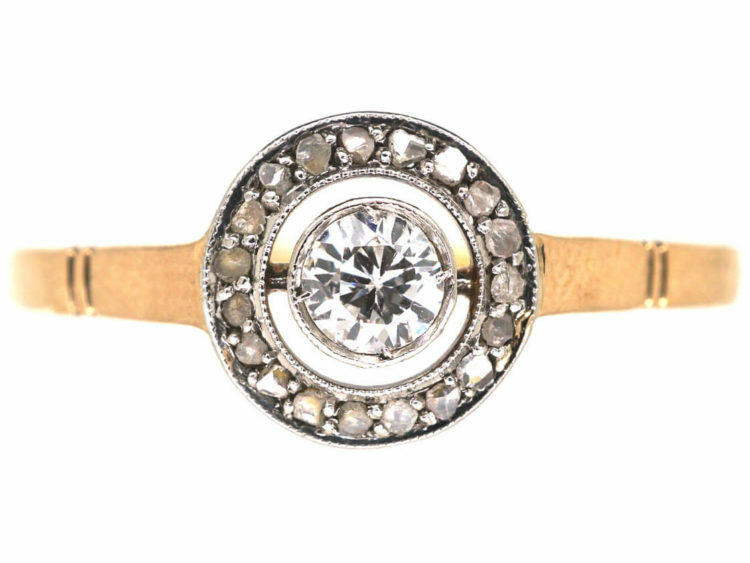 There is a gap and then a line of small rose diamonds surrounding it. 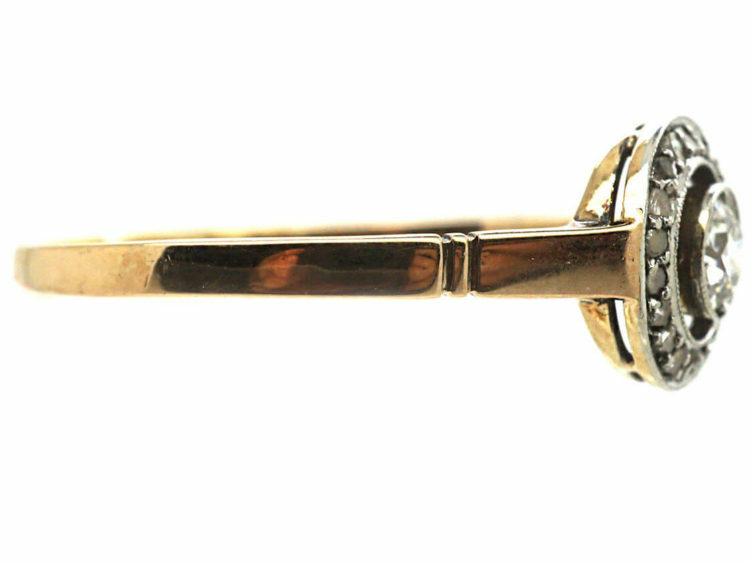 The top is platinum with millgrain detail. 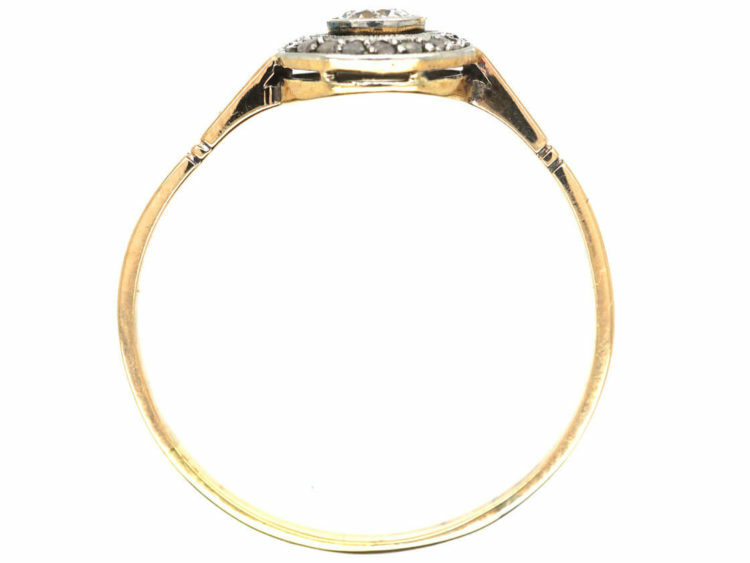 This is a process that was popular at the time and was achieved by using a knurling tool and adds extra detail to a ring. 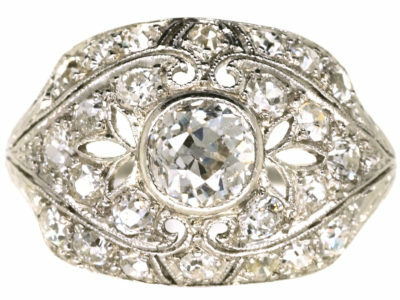 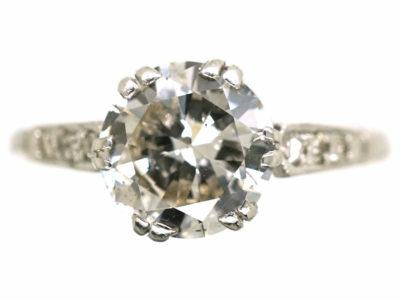 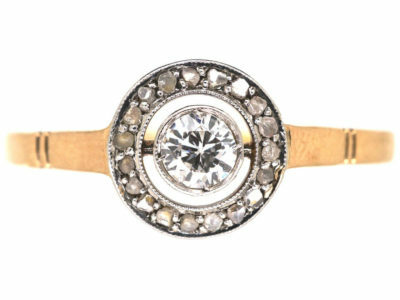 It would make a pretty engagement ring.